Many have appealed to the Government and its Ministries through the media to put an end to the loss of poultry farmers, due to the drop in chicken prices. The Ministry of Agriculture (MOA), however, thinks otherwise. It does not conceive the situation to be as bad as it is being portrayed. Engineer Reem Fathi, Head of Poultry Production Department at the MOA, said that chicken prices did not drop to a disastrous number, as a kilo of chicken currently costs around 9 shekels. This price is neither very high nor very low. She explains that losses are incurred by outdoor farms when chicken prices drop below 8.5 shekels, while less losses are suffered by indoor poultry farms. Poultry farmers appealed to the Government to help put an end to their losses caused by the recent drop in chicken prices to 9 shekels per kilo, whereas the kilo used to be sold for 14 shekels two months ago. Tarek Abu Laban, General Manager of the Marketing Department in the MOA, affirmed that the price used for selling chicken is a bit higher than its prime cost, which guarantees a slight margin of profit for the poultry farmers and merchants. Engineer Fathi believes the reason behind the drop in chicken prices lies in the drop of demand on chicken during the festive season and the olive harvest season. Since the beginning of these seasons, the prices of chicken witnessed a drop. However, the increase in red meat prices drove many to poultry farming since chicken is considered an alternative to red meat. Additionally, it is difficult to transfer birds due to the current security conditions, especially in Hebron. A third of the inhabitants in Hebron relies in its consumption of chicken on the farms located in the northern governorates. 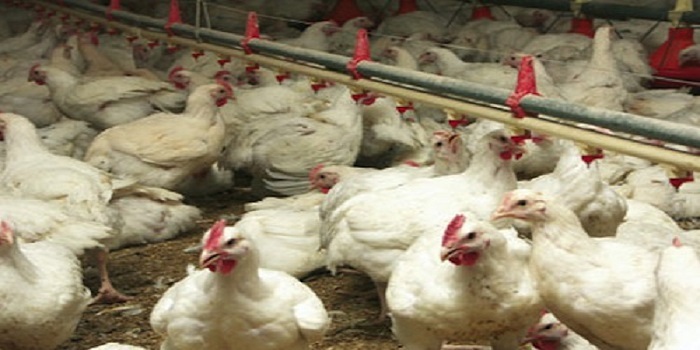 The current conditions have impeded the transfer and distribution of chicken, leading to the drop in the number of sold chickens. Fathi highlighted another problem which is the decline in the restaurant industry that is considered an important source for chicken consumption. The decline of the restaurant industry in Ramallah, Hebron, and Nablus decreased the demand on chicken. Moreover, the current weather and the high costs of poultry farming at the moment have played a role in the drop on demand. She also expressed her worry regarding the smuggling of chicken from Israeli settlements. During the current security conditions, such smuggling could be very active, which has also participated in the drop in demand on chicken. He thinks that the possible thing to be done by the Government is to protect the Palestinian market from the chicken smuggled from settlements. The security conditions, however, hinder the work of the Palestinian Customs patrol that is making the best effort to fight against the issue of smuggled chicken.